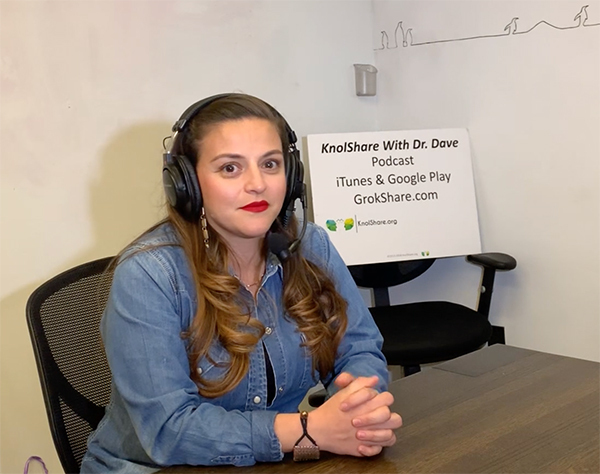 Welcome to the KnolShare with Dr. Dave podcast, hosted on Grokshare.com and streamed on iTunes, Google Play, and Spotify. Episode 59 (E59) features Stephanie Bermudez, an entrepreneur, innovator, and fearless leader. Tell me about your current burning passion and aspirations. What was your latest failure that has kept you up at night and day dreaming during the day? What challenges do you see in the Tucson, AZ startup eco-system? Any ideas or recommendations to create a bigger tent of opportunities? What was it like living in Nogales, a border town between two countries? What are you dreaming about as the next big thing for you? Learn more about Stephanie and Startup Unidos on Facebook.